May 5, 2013 11:07 am / 5 Comments on The Royal College of Teaching. Open doors and Games of Thrones, but this engine runs on hope. 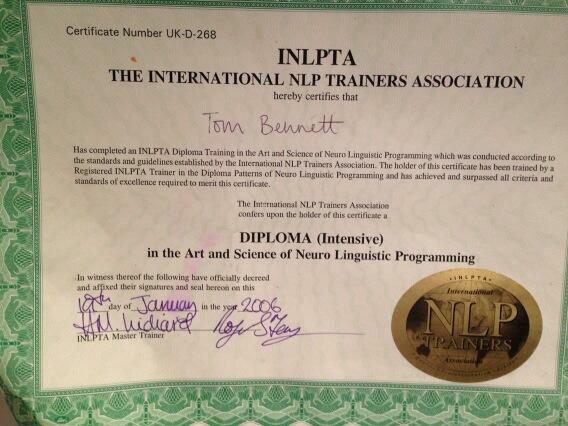 One of my deeper shames is that I possess a certificate for NLP (see below). Worthless, utterly without value. Everyone at the course got one, which means that it’s as precious an accolade as the sensor that toots when I walk into my local newsagent. You turned up? 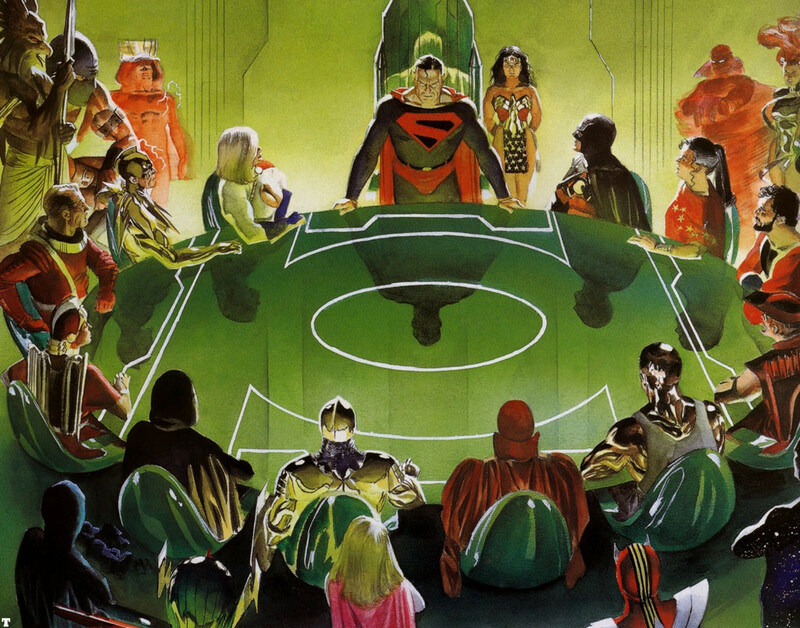 Congratulations, welcome to the Star Chamber. It’s like getting a ‘Yes’ from David Walliams. But imagine if teachers could be certified in a way that you’d be proud to hang on your wall. I bring this up because an idea has broken the surface that’s been submarine for several years: a Royal College of Teaching (RCOT). I wonder how many teachers are aware that there already is a College of Teaching? Well, there is, and what’s more it’s been around so long (since 1846), I’m surprised Dan Brown hasn’t written a part for them as the shadowy overlords of education across the centuries. These days it’s based in the Institute of Education, London, no doubt in some crepuscular underground ossiery. Plotting. Support for the idea of a RCOT has been very broad indeed. In fact, it might be the most omnipopular suggestion since Bank Holidays or pudding. An unlikely Justice League of Education has put its mighty shoulders to this: the NUT, the NAHT, the ASCL, the NASUWT, Michael Gove, Labour, the Council for Subject Associations, the Education Select Committee, have all dropped their white balls in the bag. With that kind of political will, it feels like pushing against an open door, or perhaps jump-starting a speeding train.So who’s shovelling the coal? Michael Gove indicated his support for its inception last week, although he stressed that it would be independent of the DfE, perhaps aware that his patronage would be considered by some to be as welcome as Julia Burchill helping Suzanne Moore win an argument (‘Here, let me put your ashtray fire out with this bucket of petrol’). He’s right to do so. The establishment needs to stand very still and quiet if it wants these deer to come closer. A blue print for the RCOT is already being drawn up by the Prince’s Teaching Institute, one of the Heir Apparent’s charitable trusts formed in 2006 to promote the work of a series of Summer schools, themselves designed to ‘bring together voices in education’, which is a gloriously aristocratic ambition. Its provenance might suggest it might embody a somewhat homoeopathic attitude towards education. But an examination of their website reveals distinctly independent DNA: teacher training based on subject knowledge; professional development aimed at revisiting core knowledge, sabbaticals and so on. Now that makes a refreshing change. Before we are teachers, we are subject experts, otherwise we aren’t fit to instruct anyone else. And yet, once we become teachers, how often are we encouraged to revisit the fuel and the flame that fired us in the first place? Most CPD consists of anodyne INSETS that are endured rather than enjoyed or embraced. Try telling your line manager you want to go on a training day specific to your subject, and watch the blank stare. Tell them you want to explore ‘Displaying progress in 20 minutes for Ofsted’ and their saddles will ululate like an Afghan widow. The PTI’s aims are interesting. They advise teachers to take a step back from the centrifuge of the school once in a while to re-evaluate and reignite their passion and raison d’etre for teaching. I took a teacher fellowship sabbatical a few years ago and it sharpened- possibly saved- my career vim. Priests do, and I suggest that we should too. Everyone *Hearts* the RCOT. Why? The reasons are obvious: in the Guild of Teachers mirror, everyone can see their ambitions reflected. To understand it further, look at where such a body places itself. For the immediate future, it’s likely that its ambitions would be to provide a supplementary certification process to existing qualifications like QTS. It would be, in effect, a value-added supplement to the minimum height requirement of profession entry. Membership (in increments of mastery) could confer upon its participants the kudos of having achieved a certain level of acumen, CPD and evidenced attainment, which would then be redeemable in the job market. That, so far, is as uncontroversial as custard. It’s what comes afterwards that makes this a Game of Thrones. What if such a body started to appropriate QTS itself? Or certified approved CPD linked to job development? It could provide a magnetic north for teacher standards; it could define and prescribe the Shibboleths of good practice. In short, it could transform the way that teachers are trained, hired, evaluated and indirectly, promoted, retained and distributed. It could help to define what a teacher is. Add to that powers of excommunication and sanction, and you have three hotels on Mayfair. No small prize. No wonder people are- for the best of reasons- queueing up outside in their sleeping bags waiting for the doors to open. One of the main challenges in its emergent phase will be dealing with the Manichean cage fight occupying education for some decades, which might be broadly characterised by the child-centred and knowledge-centred approaches. Of course, depending on the mood and balls of the RCOT, they could simply pick a lane and race it like a dragster, but that would cleave a profession in two like Solomon’s baby. If it were to assume powers of registration and accreditation it could be a powerful force one way or the other, and culture change would happen anyway. A wise body would accommodate both poles wisely. My shame. Luckily I escaped. So what should it be? What shouldn’t it be? We don’t need another union; that pitch is as crowded as a conga in a coffin. We certainly don’t need another General Teaching Council, unlovely, unloved and missed by no one, which by its death rattle had become, to teachers, nothing more than an annual debit on their bank statement for which they received…well, nothing really. It’s greatest failure lay in what it didn’t do rather than what it did. It didn’t map good teaching- it merely punished the bad, and not always wisely, as a number of odd, high profile cases showed. It was meant to regulate the teaching profession- membership was compulsory in order to teach in maintained schools, and by its demise it had 500,000 teachers on its register- but the bar it set was so nebulous and so shallow that its impact was cursory. So what could a RCOT be? It could be what the GTC was meant to be, but wasn’t. A regulatory body. Membership could be seen as a badge of credibility, something to be striven towards. At first, an aspiration. Later on, perhaps a minimum bar. A body of advocacy- not for pay, conditions, the profession of teachers- but for the practice of teaching. It could observe, analyse, dispute or promote the very best thinking in education- from both research and the collective well of experience, and take a lead in promoting and disseminating these treasures. A critical friend to itself. Teaching is not nursing or medicine. It is far more prone to dispute than either, because even the building blocks of educational debate are disputed. Because of this an RCOT needs to be a fluid, genuinely introspective body that welcomes, absorbs and accommodates the inevitable challenges from within and without that such a large and broad church will entail. A guarantor of CPD- or even a provider. An independent voice for teaching and teachers, liaising with all of the satellites that orbit our heavenly bodies. At present the press turns to a handful of names in its Rolodex when they need a quote. We need a body that can meaninglessly represent teaching, not merely telegenic partisans. A certifier of teacher development- what Tim Oates of Cambridge Assessment calls an ‘advanced certifier’. Doctors are required to evidence continued commitment to professional development; imagine if teachers had to do the same, not by ruinous days spent in mid-price conference hotels scooping up pens and shortbread, but revisiting their subjects, and learning skills they genuinely want and need. I’ve frequently written with frustration at how, in education, we have student voice, stakeholder voice, parent power and Westminster voice- but never teacher voice, which is odd when you consider that we are the professionals most affected by it all. What an odd omission. Who would think it logical or fit to exclude such an important community? Yet here we are. There is room, of course in any discussion, for those not blessed with the scars and spoils of the classroom, but for too long the room has been missing an elephant: us. The RCOT needs to be constructed by teachers; populated with teachers; run by teachers. The iron, right now, is red hot. The need has rarely been greater. The will is there. If we succeed, we can fix teaching from within, without waiting for someone else to do it for us. We can transform from many quiet voices into one authoritative one- not the moronic bellow of a crowd, but the careful proclamation of experience. Get this wrong, and it’ll take decades to clear up the mess. Get it right, and we could change the lives of millions of children for the better. This engine runs on hope.